We love the creative inspiration that is springing from parents and kids these days as they turn a functional, medical intervention into an artistic opportunity. 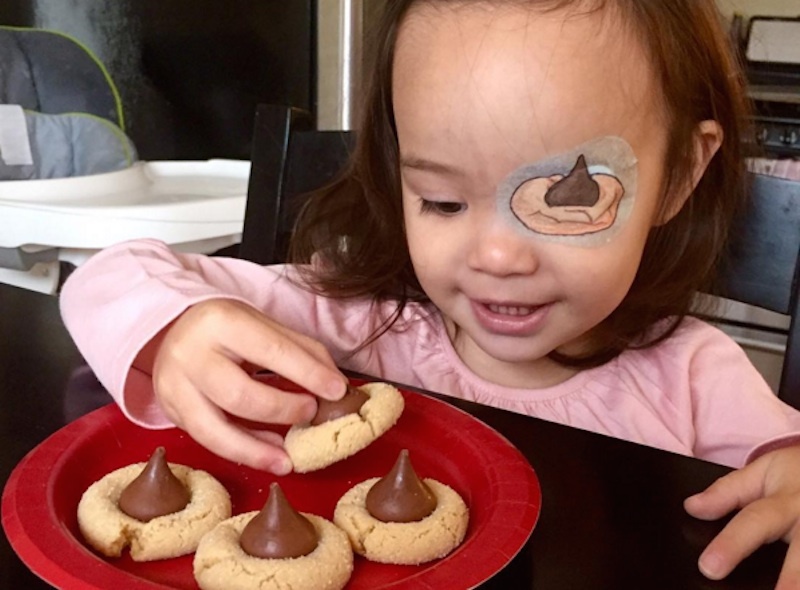 From baby helmets (including some seriously impressive Star Wars versions) to character-embossed hearing aids, our latest example of using art to help children cope with the need to wear a medical accessory: the adorable eye patches crafted by a dad for his toddler daughter. 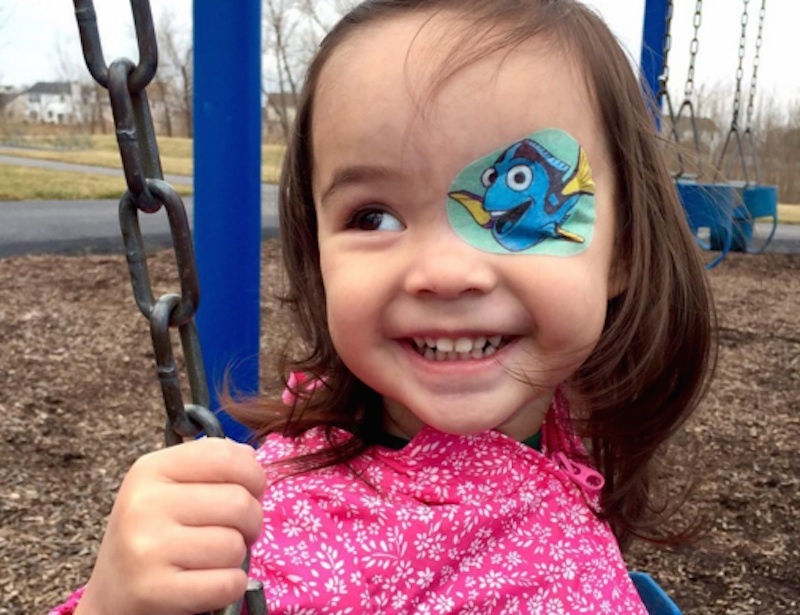 Layla was born with a small cataract in her right eye. She has to wear an eye patch for two hours a day on her other eye until she's five years-old in order to encourage vision development. Read on to see more of Geof's clever designs that help bring cheer to his daughter. Surprisingly, Geof doesn’t have an artistic background. He’s a chemical engineer turned stay-at-home-dad looking to help make Layla’s eye patch a fun bonding experience. After posting about his early, basic creations on Reddit, Geof heard from other like-minded parents who had also crafted similar pieces for their children. With ideas from family and friends, he began ambitiously including pop culture references in the pieces. One year ago, he created an Instagram page called Layla’s Patches which now counts almost 12,000 followers. The visual diary is an adorable way to catalog his designs, but it also shows how much Layla has grown since Geof began designing the patches and how Geof’s skills have sharpened. When Layla is old enough, she’ll start contributing her own ideas as to how she wants the patches decorated as well. We especially love when Geof incorporates the day’s activities, such as drawing a banana patch for when they are visiting the zoo (an homage to the monkeys, naturally) and holidays or special events like the Oscars or a big football game. Geof has also created plenty of Disney and Pixar characters including several from Inside Out as well as some inspired by books including How the Grinch Stole Christmas, Where the Wild Things Are, and Charlotte’s Web. What a sweet way for a parent to draw positive attention to his daughter’s patch and simultaneously exercise his own creative muscles! Surprisingly, Geof doesn't have an artistic background. He's a chemical engineer turned stay-at-home-dad looking to help make Layla's eyepatch a fun bonding experience. After posting about his early, basic creations on Reddit, Geof heard from other like-minded parents who had also crafted similar pieces for their children. With ideas from family and friends, he began ambitiously including pop culture references in the pieces. One year ago, he created an Instagram page called Layla's Patches which now counts almost 12,000 followers. The visual diary is an adorable way to catalog his designs, but it also shows how much Layla has grown since Geof began designing the patches and how Geof's skills have sharpened. When Layla is old enough, she'll start contributing her own ideas as to how she wants the patches decorated as well. We especially love when Geof incorporates the day's activities, such as drawing a banana patch for when they are visiting the zoo (an homage to the monkeys, naturally) and holidays or special events like the Oscars or a big football game. Geof has also created plenty of Disney and Pixar characters including several from Inside Out as well as some inspired by books including How the Grinch Stole Christmas, Where the Wild Things Are, and Charlotte's Web. What a sweet way for a parent to draw positive attention to his daughter's patch and simultaneously exercise his own creative muscles! Surprisingly, Geof doesn't have an artistic background. He's a chemical engineer turned stay-at-home-dad looking to help make Layla's eye patch a fun bonding experience. After posting about his early, basic creations on Reddit, Geof heard from�other like-minded parents who had also crafted similar pieces for their children.